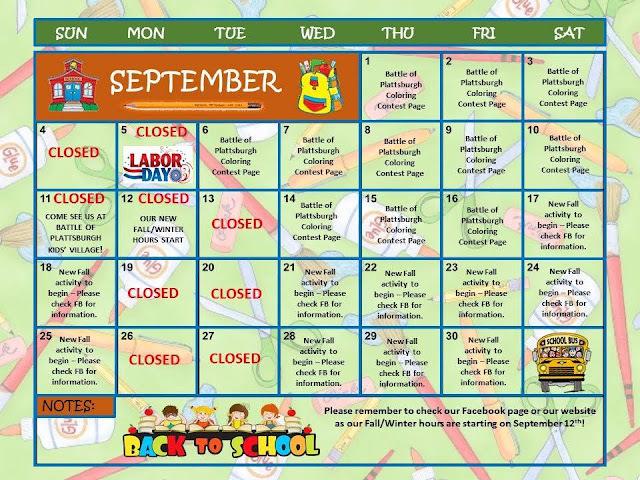 Stop by the Kids' Station and Celebrate Apple Season. Make an Apple Core Decoration. 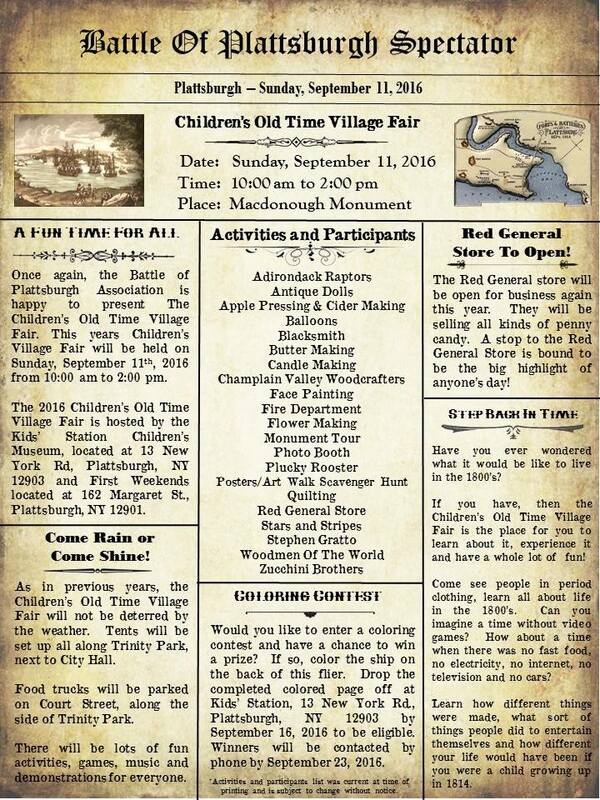 Mark your calendars so you don't forget to come visit the Kids' Station at the Battle of Plattsburgh's Children's Old Time Village Fair on Sunday, September 11th from 10:00 am to 2:00 pm. We'll have candle making, butter making, quilt making and so many other activities. Make sure to bring your pennies so you can shop at the Red General Store where everything is just a penny! The Zucchini Brothers will be performing and there will be so many things for little kids (and you big kids too) to be a part of, experience and enjoy! It's going to be a great time so you don't want to miss it! The Battle of Plattsburgh is having a coloring contest! The deadline for entering is September 16, 2016. 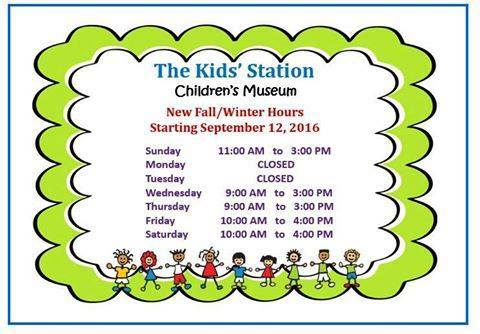 Entries can be turned in at the Kids' Station Children's Museum, 13 New York Rd., Plattsburgh, NY 12903. Winners will be contacted via phone by September 23, 2016. 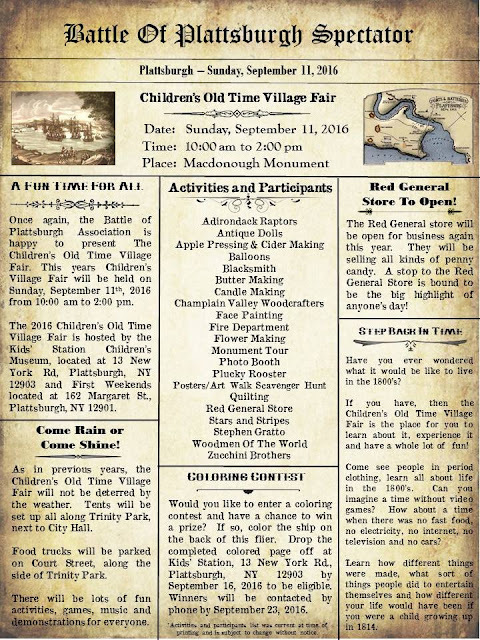 Don't forget to stop by the Children's Old Time Village Fair next Sunday and check out all the terrific things we have for your children to do, see and be a part of!